Mesopotamia: Turkish commander Halil Pasha repulses a Russian attack at Khanikin. On the first day of June 1916, as German and British naval forces clash in the North Sea during the Battle of Jutland, and the French resist the persistent German siege at Verdun, German army troops launch a major attack on British lines in the Ypres Salient on the Western Front. The Tokyo-based Jidosha-Seizo Kabushiki-Kaisha (Automobile Manufacturing Co., Ltd. in English) takes on a new name: Nissan Motor Company. 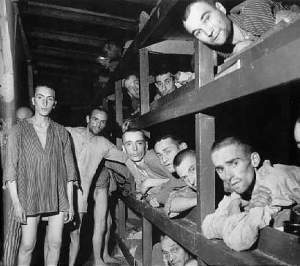 German political prisoners and all German Jews with previous criminal records are sent to Buchenwald. They are soon followed by 2,200 Austrian Jews. Oswald Pohl was a Nazi official and member of the SS (with a rank of SS-Obergruppenfuehrer), involved in the mass murders of Jews in concentration camps, the so-called Endloesung (Final Solution) . . . .
Pohl became a member of the SA, then finally joined the re-founded NSDAP (the Nazi party) on February 22 1926, as member #30842. He met Heinrich Himmler in 1933 and became his protege. He was appointed chief of the administration department in the staff of the Reichsfuehrer-SS ("Reich leader SS", RFSS) and given the rank of SS-Standartenfuehrer on February 1, 1934, and began to influence the administration of the concentration camps. His career continued when he was made Verwaltungschef (chief of administration) and Reichskassenverwalter ("Reich treasurer") for the SS on June 1, 1935, then initiated the Inspektion der Konzentrationslager ("inspection of the concentration camps"), an organization to organize and oversee the administration of the concentration camps . . . .
Pohl also left the church in 1935, and, in June 1939, became chief of both the "Hauptamt Verwaltung und Wirtschaft" ("main bureau [for] administration and economy", part of the SS) and the "Hauptamt Haushalt und Bauten" ("main bureau [for] budget and construction", part of the Reich's ministry for the interior). On February 1, 1942, both institutions were combined into the "SS-Wirtschafts-Verwaltungshauptamt" (SS-WVHA, "SS main bureau for economic administration") with Pohl in charge; among other things, the SS-WVHA was in charge of the organization of the concentration camps, deciding on the distribution of detainees to the various camps and the "rental" of detainees for forced labor until 1944. Pohl was made SS-Obergruppenfuehrer and general of the Waffen-SS on April 20, 1942 . . . . In 1944, Pohl was put out of charge of the concentration camps, with the RÃ¼stungsministerium (ministry of armament) overtaking; at the same time, the responsibility for construction was also taken away from the SS-WVHA. However, Pohl remained in charge of the administration of the Waffen-SS for the remainder of the war. After the end of World War II, in 1945, Pohl first hid in Upper Bavaria, then near Bremen; nevertheless, he was captured by British troops on May 27, 1946. He was sentenced to death on November 3, 1947, by an American military tribunal after the Nuremberg trials for crimes against humanity, war crimes and membership in a criminal organization, as well as for mass murders and crimes committed in the concentration camps administered by the SS-WVHA he was in charge of. However, Pohl was not executed right away . . . . In late 1940, the Greek army, reinforced by the British air force, decisively repulsed an Italian invasion of their nation. In April 1941, these triumphs turned to defeat when Nazi leader Adolf Hitler turned his undefeated German Wehrmacht against the country. The German army advanced so quickly in Greece that the British were forced to cancel plans to send reinforcements to the country. On April 23, the Greek king and his government evacuated to Crete, an island south of the Greek mainland, and on April 24 a general Allied evacuation to the island began. For the next six days, the Germans bombarded the Allied ships streaming to Crete, killing some 15,000 Allied sailors and troops. 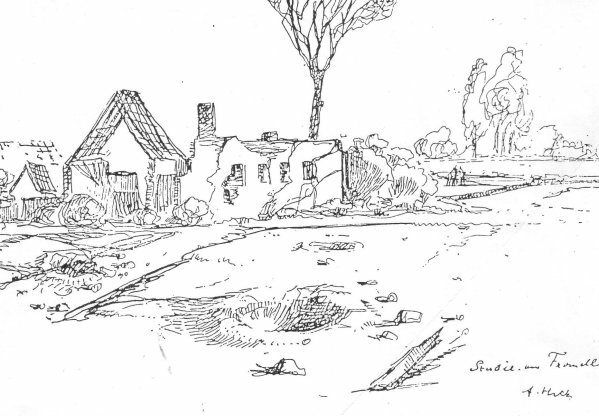 By April 29, however, almost 50,000 British, Greek, Australian, and New Zealand troops had reached the safety of the heavily fortified island. Iraq: British forces enter Baghdad returning the regent, six year-old King Faisal, to power. On April 25, 1939, the first Arabic-language Nazi radio station was established in the German town of Giessen. The station broadcast Nazi propaganda to the Middle East and North Africa, employed writers, translators, scholars and Orientalists, and featured Arab immigrants and Arab leaders in its broadcasts. . . . The station aired anti-British, anti-American, anti-Soviet and anti-Jewish propaganda, which was instrumental in introducing radical anti-Semitism to a Middle East already rife with Islamic anti-Jewish sentiments. 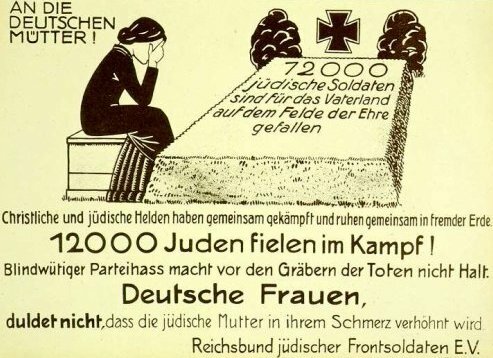 The propaganda sought to achieve various goals, including enlisting the support of the Arab population to the Fuhrer and the Nazi cause, promoting rampant anti-Jewish incitement by accusing Jews of stealing Arab funds and holding them responsible for all that was wrong in the Arab world, endorsing the Arabs' national aspirations, inciting violence against the British and the French mandates in the Middle East, and promising to grant all Arab countries independence following Germany's victory in the war. On this day in 1942, a Warsaw underground newspaper, the Liberty Brigade, makes public the news of the gassing of tens of thousands of Jews at Chelmno—a death camp in Poland—almost seven months after extermination of prisoners began. A year earlier, the means of effecting what would become the "Final Solution," the mass extermination of European Jewry, was devised: 700 Jews were murdered by channeling gas fumes back into a van used to transport them to the village of Chelmno, in Poland. This "gas van" would become the death chamber for a total of 360,000 Jews from more than 200 communities in Poland. The advantage of this form of extermination was that it was silent and invisible. One month before the infamous Wannsee Conference of January 1942, during which Nazi officials decided to address formally the "Jewish question," the gas vans in Chelmno were used to kill up to 1,000 Jews a day. The vans provided the "Final Solution" for Adolf Eichmann and other Wannsee attendees. The mass gassings were the most orderly and systematic means of eliminating European Jewry. Eventually, more such vans were employed in other parts of Poland. There was no thought of selecting out the "fit" from the "unfit" for slave labor, as in Auschwitz. There was only one goal: utter extermination. World War II: A civilian flight from Lisbon to London is shot down by the Luftwaffe, killing all 16 aboard, including actor Leslie Howard. Note: Many have speculated that the plane was targeted by the Germans because they believed that the British Prime Minister, Winston Churchill, who had been in Algiers, was on board. 1. Statements of prisoners are the safest and best source of information regarding enemy tactics, weapons, location appliances and methods. Prisoners from planes and destroyers may be of the greatest importance to us; therefore, as far as possible and without endangering the boat, the utmost is to be done to take such prisoners. 2. As prisoners are extremely willing to talk when captured, interrogate them at once on board. It is of special interest to know the manner of locating U-boats by aircraft, whether by radar or by passive location methods; for instance, by ascertaining, through electricity or heat, the location of the boat. Report prisoners taken as soon as possible in order to hand them over to returning boats. 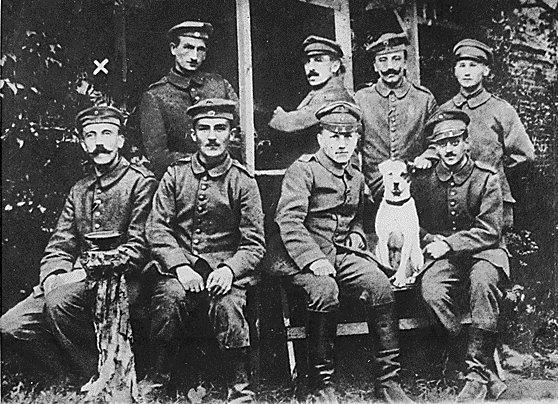 On 23 August, in the afternoon, he was summoned to the Royal Palace, where King Mihai I asked him to immediately sign the armistice with the Allies. Following his refusal, the King ordered his arrest and that of Mihai Antonescu and his other close associates . . . . He was later given to the Soviets, on 1 September, and transported somewhere in the vicinity of Moscow . . . . In May 1946 they returned to Romania to be put on trial by the so-called People's Court. Following a mock trial, on 17 May 1946, he was convicted to six death penalties, two life in prison sentences, 80 years in jail and 140 years of civic degradation. The Tribunal (Mr. Biddle): They were taking people out of industry also who were not needed for the Army, weren't they? I mean Jews. They were taking Jewish people out of industry, were they not? Sauckel said yesterday that Jewish people were being taken out of industry. You admit that, don't you? Timm: Yes. Jews were eliminated from industry. The Tribunal: All right; and I suppose the Central Planning Board was given the number of Jewish people that were taken out of industry, were they not? The Tribunal: Do you not assume that that must have been the case, if they had to find the number of replacements. It must have been so, mustn't it? Timm: I cannot judge as to that because I learned only the total number of men to be drafted, independently of the Jewish question. I will not venture an opinion; I do not know. The Tribunal: Do you not know that Himmler and the SS told the Central Planning Board the number of Jews that were being taken out of industry for whom replacements were needed? You know that as a fact, don't you? The Tribunal: You do not? Timm: No. I know only that we received certain statements from the Reichsfuehrer SS that people were being taken out of industry, and owing to the objections of the Plenipotentiary General, who had to supply the replacements - I remember that this measure was partly withdrawn. The Tribunal: And you do know that one of the duties of the Reichsfuehrer SS was to withdraw Jews from industry? You know that? DR. SERVATIUS: What would be your estimate of the number of voluntary workers who came from France to Germany? Dr Servatius: Was Sauckel accused by other offices of looking after the workmen too well? And was there not, in some cases, even envy of the situation of certain foreign workers? During a French political crisis over the military and civilian revolt in Algeria, Charles de Gaulle is called out of retirement to head a new emergency government. Considered the only leader of sufficient strength and stature to deal with the perilous situation, the former war hero was made the virtual dictator of France, with power to rule by decree for six months. A veteran of World War I, de Gaulle unsuccessfully petitioned his country to modernize its armed forces in the years before the outbreak of World War II. 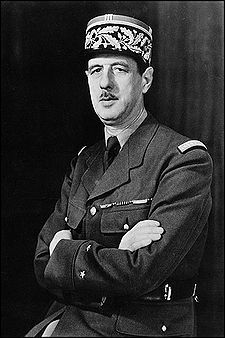 After French Premier Henri Petain signed an armistice with Nazi Germany in June 1940, de Gaulle fled to London, where he organized the Free French forces and rallied French colonies to the Allied cause. His forces fought successfully in North Africa, and in June 1944 he was named head of the French government in exile.